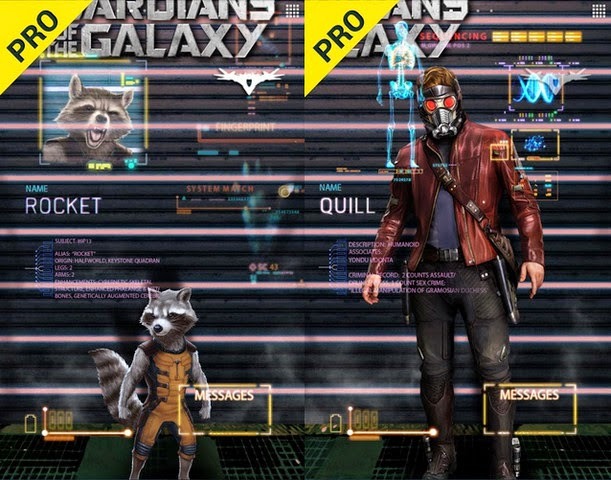 Personalize your android with this out-of-this-world live wallpaper based on the 2014 blockbuster movie by the same title. 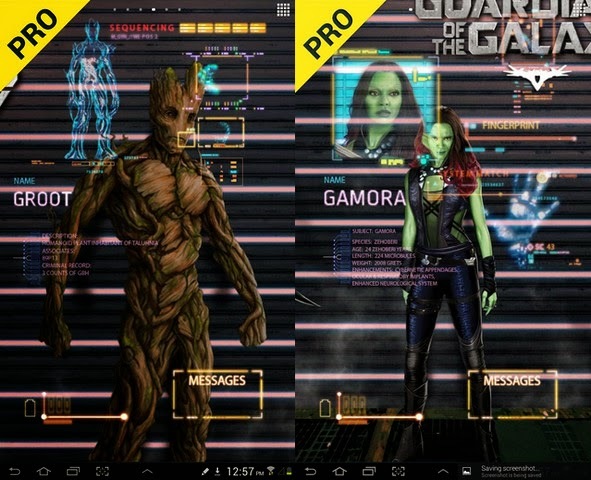 Download Guardians of the Galaxy LWP (Premium) Apk and enjoy all the Pro additions! Cellfish studios are known for their cool Marvel live wallpapers and again they’ve outdone them selfs! 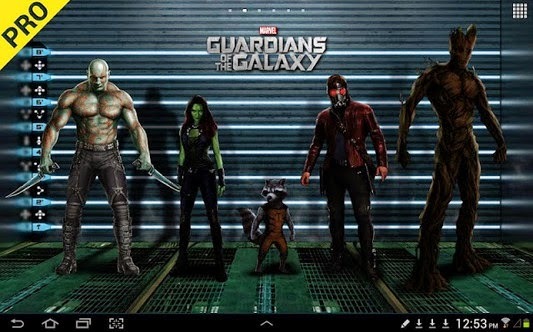 This live wallpaper is just as cool as the movie (the movie is hilarious, if you haven’t seen it yet WATCH IT). In the pro version, you get several neat additional features. 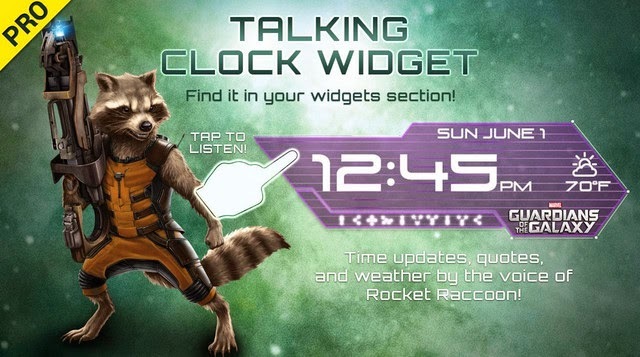 What I like is the clock widget with the voice of Rocket when ever you tap it or when it turns in to a full hour. Aswell you can get voice for incoming emails, text and more + add many sticker widgets of the guardians all over your homescreen. Tap on to a charachter and you will get their full bios and there’s so much more coolness to this. Download the free version from bellow and after watching my video get the pro version if you like to. 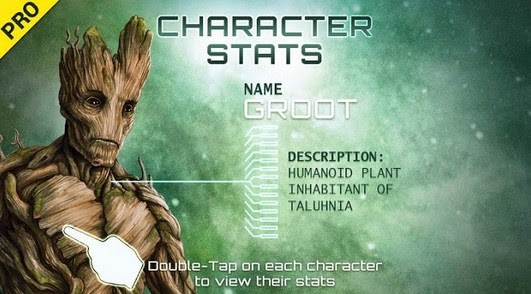 Duuuuude… It’s time to save the known universe with the Guardians of the Galaxy by your side! 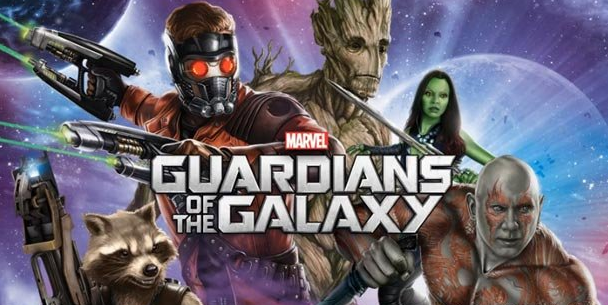 Meet the lovable leader Star-Lord and his rowdy crew: Rocket, an alien raccoon – quick to anger and quick to draw; Groot, Rocket’s trusty friend and ally; Gamora the mysterious assassin; and the vengeance seeking Drax the Destroyer. 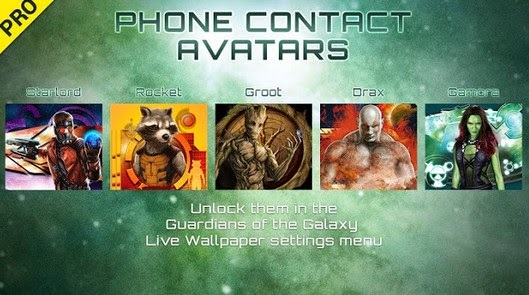 There are unlockable premium phone contact avatars and utilities, like a flashlight, calculator and mirror so you can always find the keys, tally the tip and do your make-up before battle!